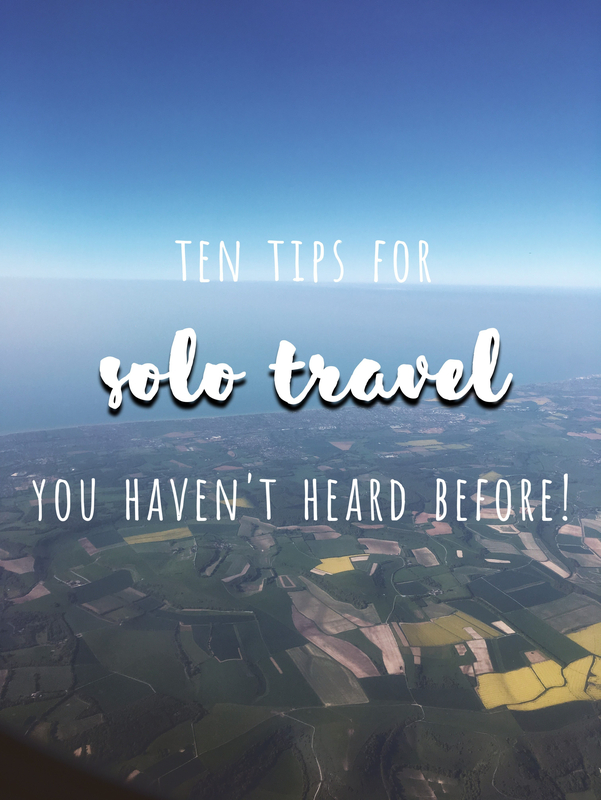 Thinking of planning your first solo travel adventure?! These tips are a few things I wish I knew before planning my trip. Start with a smaller trip first. Going away for a whole month alone can be intimidating so starting with a smaller trip to ease yourself can help calm yours (and your loved ones) worries. A long weekend in a destination only a few hours away is a great start. My first solo trip was 3 nights in Paris. I had been to Paris twice before so roughly knew my way around and had studied French in sixth form so had a good grasp of the language. Pre-book travel and accommodation. Not only does this save you money, as often places will offer a pre-booking discount, but you have the peace of mind that you don’t have to worry about saving enough money to pay for a train to the airport home. I love staying in an Airbnb rather than a hostel or hotel as I can get a better cultural experience of the area. I save a ton of money each trip as Airbnb’s are typically cheaper than a private hostel room or single hotel room. If there’s anything about solo travel that makes me feel lonely, its being in a hotel room alone! Having a little home to pad around in after a long day of exploring feels like a huge luxury. Plus, as a veggie being able to make your own food is a huge bonus. Get £25 off your first Airbnb booking here! Back up folder. Include, photocopy of passport/ ID, spare debit cards, spare cash (I take my home currency and the local currency), extra print out of tickets/ bookings. I keep these in a ziplock folder, safely in a hidden spot. It’s always better to be overprepared. Walking tours. When I took my first walking tour in Stockholm, I was scared that I would be the only young person or that no-one else would turn up. It ended up being the highlight of my trip. Especially if you’re spending time alone, it’s a chance to chat with other travelers from around the world. Top tip: Even if the tour says it free, bring cash to tip at the end. Personal alarm. Everyone should have one of these before they venture out. I purchased this one from Amazon. I don’t go back out after dark. This is easier for me as I’m a morning person, not a night owl. I eat my main meal out, during the day and then a smaller meal back at my accommodation. Some people may not choose to do this, but it works for me and makes me feel safer. Pack smart. Luggage can be a real drag (no pun intended!) if you’ve over packed. I always pack carry on only when solo traveling; I never have to worry about lost luggage or have to waste time at baggage collection waiting for my case. Make sure you can lift your bag above your head, then you know you can maneuver it in any situation. Emergency sheet, I have had to use this a few times and I’ve been infinitely thankful that I had it. A5 sheet of paper including Next-of-kin details, details to cancel credit or debit cards, details of travel/ personal item insurance, accommodation address and contact for host or concierge and details for your home countries embassy in that country. I keep 1 copy in my day bag, 1 in my suitcase and 1 in a pocket in my clothes.